Kazakh team Astana will ride Argon 18 bikes in 2017, instead of Specialized. The UCI WorldTour team will also switching the components and drivetrain sponsor: they’ll use FSA gears and Vision wheels and components (they were using Campagnolo drivetrain). The team riders will first use Dura Ace Di2 groupset in the beginning of the season, but then gradually will switch to FSA’s new WE electronic gears. 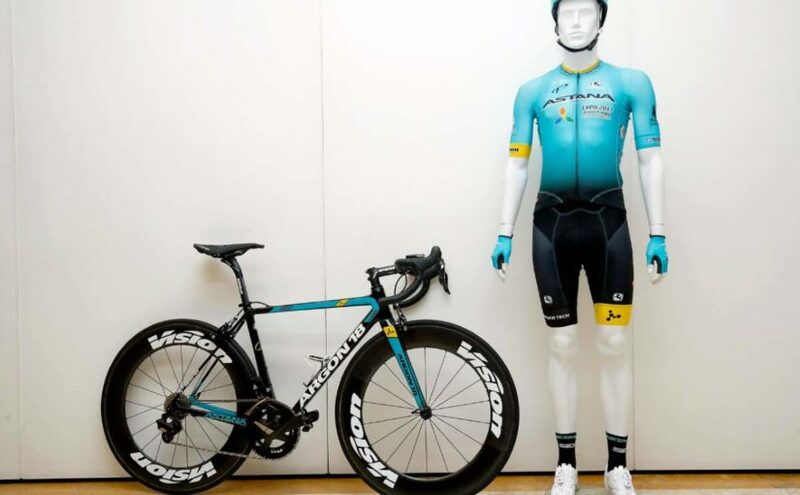 Astana signed three year deal with the Montreal-based bike producer. 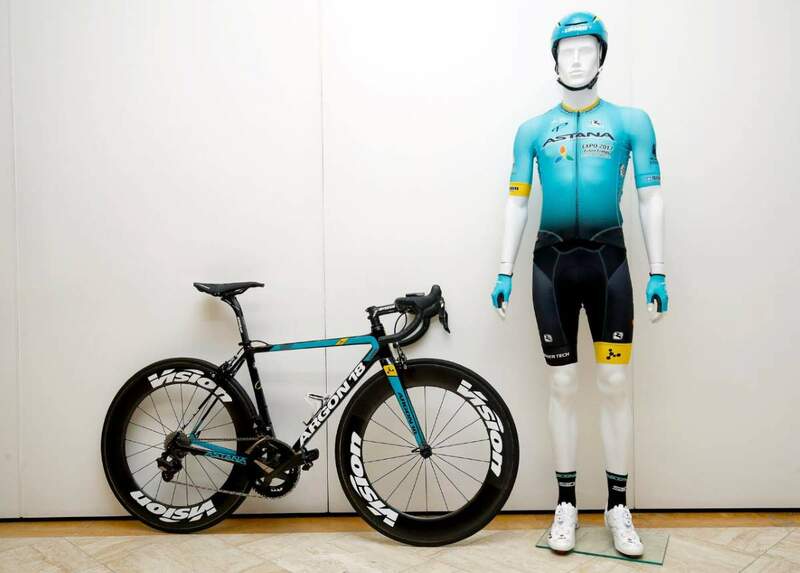 The team also revealed their new kit – Turquoise-Black in color with a few yellow touch, produced by Giordana, the Italian Cycling Apparel. Schwalbe will be the tire sponsor. 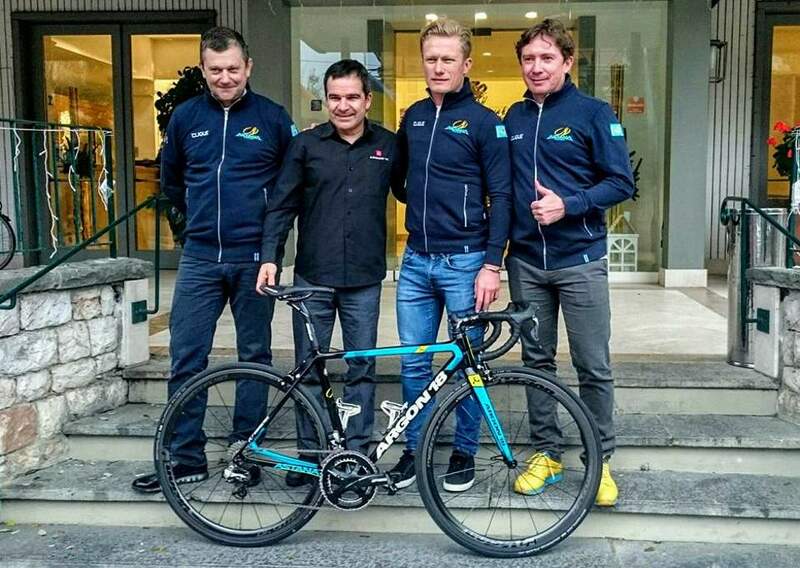 Astana Pro Team General Manager and former Olympic road race champion (2012) Alexander Vinokourov, sports manager Dmitriy Fofonov, sports director Dmitri Sedoun and Argon 18 CEO Gervais Rioux posing with the Kazakh team’s new Argon 18 Gallium Pro bike. The Astana riders will be able to choose between the Gallium Pro road frame and the Nitrogen Pro aero road frame, and they’ll use the E-118 model in the time trials.